Ethan Embry. Rafael Casal. 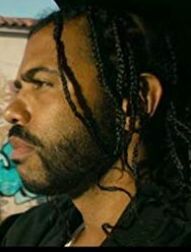 Daveed Diggs. Janina Gavankar. Jasmine Cephas Jones . Tisha Campbell-martin. Collin (Daveed Diggs) must make it through his final three days of probation for a chance at a new beginning. He and his troublemaking childhood best friend, Miles (Rafael Casal), work as movers and are forced to watch their old neighbourhood become a trendy spot in the rapidly gentrifying Bay Area. When a life-altering event causes Collin to miss his mandatory curfew, the two men struggle to maintain their friendship as the changing social landscape exposes their differences. Explores the intersection of race and class set against the backdrop of Oakland.